KI STUDIO’s multidisciplinary approach was recognised with two awards at the Australian Institute of Landscape Architects (New South Wales) Awards in the Design and Urban Design in Landscape Architecture categories this past week. 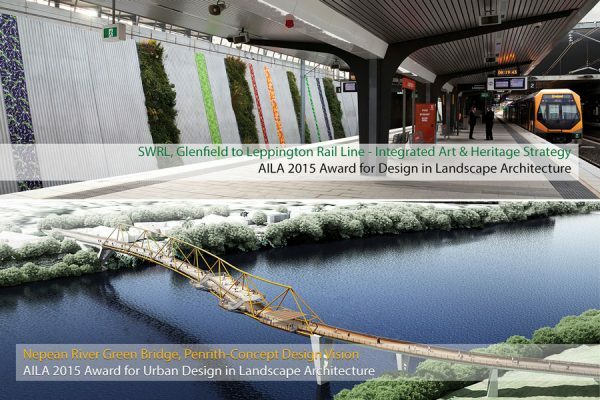 South West Rail Link, Glenfield to Leppington-Integrated Art & Heritage Strategy, and Nepean River Green Bridge, Penrith-Concept Design Vision both received honours. The projects both successfully refined and reinterpreted the initial brief to create engaging works embedded within their context, whilst remaining mindful of their integration within the larger framework of a growing city. 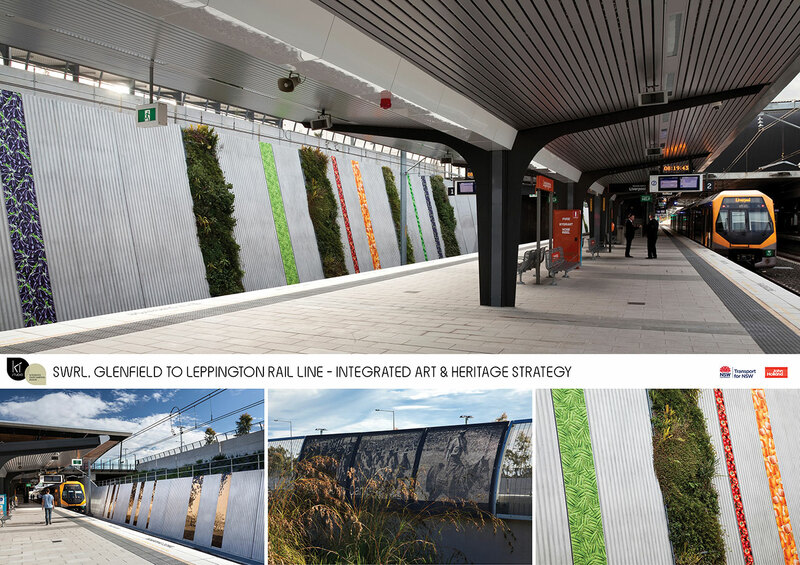 The South West Rail Link, Glenfield to Leppington-Integrated Art & Heritage Strategy was praised by the Australian Institute of Landscape Architects Awards Jury for transforming what could have been harsh utilitarian environments into engaging spaces that restore and reinforce a sense of place, seamlessly embedding legibility, identity and character into contemporary railway infrastructure. 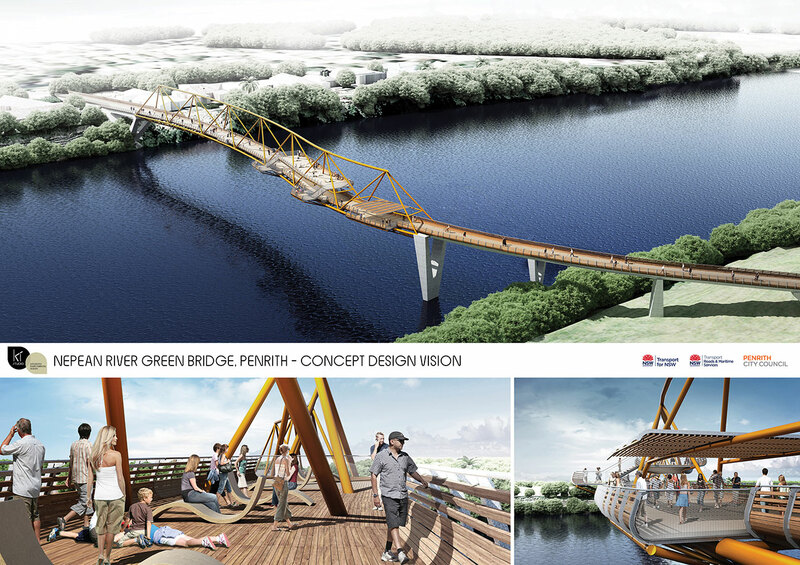 The jury noted in their citation for the Nepean River Green Bridge, Penrith-Concept Design Vision is for a unique and iconic structure that is both a journey and a destination, informed by a thoughtful analysis of the site, its history, topography, landscape and suburban settings as well as a deep appreciation of a broader sense of place.